Sports injuries occur suddenly and can severely impact your athletic performance. However, our Crestwood chiropractors at Chiro-Med Health and Wellness are here to help you recover quickly and return to your activities. Our chiropractors evaluate your sports injury and determine an individualized plan of care to ease your discomfort, support your joints and speed your recovery. You do not have to sit on the sidelines for another minute. Call us today to schedule an evaluation to determine which chiropractic approach is best for you. If you perform the same activities in the same way, you risk overusing the muscles and joints. This may lead to pain, lack of motion or weakness. Our chiropractors can educate you on proper body mechanics to help restore balance and prevent future overuse injuries from occurring. A sprain occurs when the ligaments are injured. This may be a stretch, twist or a tear. The ligaments connect two bones and also support a joint. You may experience a strain in a knee, elbow or shoulder from sport participation. A muscle strain is the result of the muscles being overstretched or torn. You may experience limited motion, tenderness, swelling or bruising and we can help you heal and overcome the discomfort. You may experience back pain if your spine is not in alignment or as a result of improper motion. Our chiropractors help align your spine and return you quickly to sport play. A small crack in the bone that may be the result of overuse or high-impact activities such as running. An injury to the head may result in a concussion. If you experience dizziness, headaches, nausea, blurred vision or unconsciousness, please seek medical attention immediately. Then, our chiropractors can help restore your neck and back alignment to promote circulation and healing. Sports injuries may also show themselves in heel pain, shoulder pain, knee discomfort and inflammation. Our chiropractors can help evaluate your condition and select a proper treatment for you. We can also teach you exercises to strengthen weaker muscles and to support a healthy body position. Our goal is to quickly return you to your active lifestyle. Physical activity is important for a healthy body and once you learn proper body techniques and ways to avoid overuse injuries, you will remain active for years to come. Our Crestwood chiropractors are here to make life easier and pain-free. Do not let a sports injury slow you down. If you or a loved one is suffering from a sports injury, please call us today to schedule your evaluation. We desire to help you heal quickly and return to your sports. We offer convenient hours, private consultations and new-patient specials. Speak with us today and overcome your sports injury soon. Call us at (708) 385-4416. 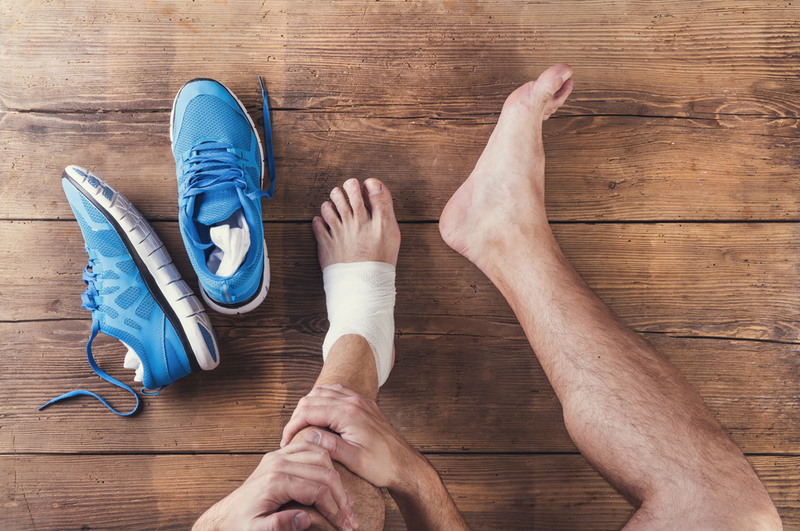 If you have a Sports Injury that is giving you issues, call us at (708) 385-4416 and schedule an appointment today.